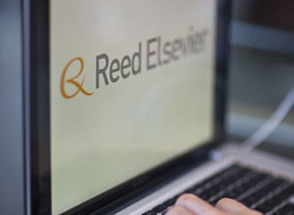 A nine month trading update from the Anglo-Dutch global professional information group, formerly known as Reed Elsevier, saw management pointing to an unchanged full year outlook. Underlying or adjusted group revenue had risen by 3% over the period, with the company having acquired 14 content, data and exhibition assets year to date, for a total consideration of £91 million. The group, which employs about 28,500 people of whom half are in North America, completed £425 million of its previously announced £500 million share buyback, with the remaining £75 million to be deployed by the year end. The share price declined by 1% in mid-morning UK stock market trading. Scientific, Technical & Medical - Underlying revenue growth +2%. The customer environment remains largely unchanged. Key business trends remained positive in the first nine months. In primary research, management continued to see strong growth in article submissions and usage. Print book declines continued in line with the prior year. Full year outlook: The board expects 2015 to be another year of modest underlying revenue growth. Risk & Business Information - Underlying revenue growth +7%. Strong revenue growth across all key segments in the period, driven by volume growth, the roll out of new products and services, and expansion into new verticals and adjacencies. Full year outlook: The board expects underlying revenue growth trends to continue. Legal - Underlying revenue growth +1%. Market conditions in the US and Europe remain stable. Electronic revenue growth was partially offset by print declines. The roll out of new platform releases continued. Full year outlook: Trends in the division's major customer markets were unchanged, continuing to limit the scope for underlying revenue growth. Exhibitions - Underlying revenue growth +5%. Underlying revenue growth trends in the US, Japan and Europe were unchanged. The slight reduction in overall growth rate reflects the macro economic slowdown in emerging markets. Full year outlook: Management expects underlying revenue growth trends to continue for the full year, with cycling out effects reducing the reported revenue growth rate by around four percentage points.